Sewankambo is professor of Medicine and Principal, Makerere University College of Health Sciences. He is Chair, Steering Committee, ISHReCA (Initiatives for Strengthening Health Research Capacity in Africa), Training Health Researchers into Vocational Excellence (THRiVE) Consortium. He was founding Principal Investigator in Uganda for the Rakai Health Sciences Program. 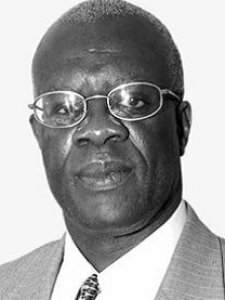 His awards include Grand Silver Medal from Karolinska Institute, Sweden; N'Galy-Mann Award: A competitive international lectureship award; Uganda National Bioethics Award (2012); and Presidential Award for Scientific Excellence (2006), INCLEN fellowship, Nuffield Foundation Fellowship and WHO Teaching/Research fellowship. He was awarded a Doctorate h.c. from McMaster University, Canada, and from Johns Hopkins University, USA. He is a recipient of the Fellowship of Royal College of Physicians (FCRP), London. Keywords	 Internal Medicine and Clinical Epidemiology. Clinical trials, infectious diseases focus on HIV/AIDS, HIV vaccine research, innovations in health care and health professional education and knowledge translation.